← Surprise! A Total Redesign! So I posted about the new site design… and meant to post again right after to address the fact that I haven’t posted in so long about anything that’s actually going on in my life… but clearly that didn’t happen promptly. Everything’s just been so busy… but there is so much news to share! * I’ve been working like a fiend it seems… working on my dissertation (admittedly less than I wanted to this semester due to an unexpectedly busy start to the school year, but still), writing articles, attending conferences, being generally crazy with work (but a good kind of crazy?) I attended three wonderful conferences this past spring – the 2016 International Conference for the Fantastic in the Arts, which was even most fantastic than usual for a variety of reasons (including the ‘wonder tales’ theme and getting to hang out with people who inspire me in about a million different ways), the British Folklore Society’s “Reflected Shadows: Folklore and the Gothic” conference at Kingston University in the UK (which was, for obvious reasons, kind of like dancing on air for me), and the OSU/IU Student Conference in Folklore and Ethnomusicology, which I helped organize (more on this below!) All were incredibly inspiring and affirming. * Going to the UK conference was largely supported by the fact that I applied for and received money from a few different sources! I received a travel award from OSU’s Project Narrative, a Valerie B. Lee conference travel grant, an Arts & Humanities Graduate Small Research Grant from the OSU College of Arts & Sciences, and some additional funding from my department, all of which I am enormously grateful for. * Almost immediately after coming back from the UK it was time for the 9th Annual OSU/IU Joint Student Conference in Folklore and Ethnomusicology! Sara Cleto and I were the joint lead organizers for it this past year and, while it was a huge amount of work, I’m so, so happy with how it turned out. 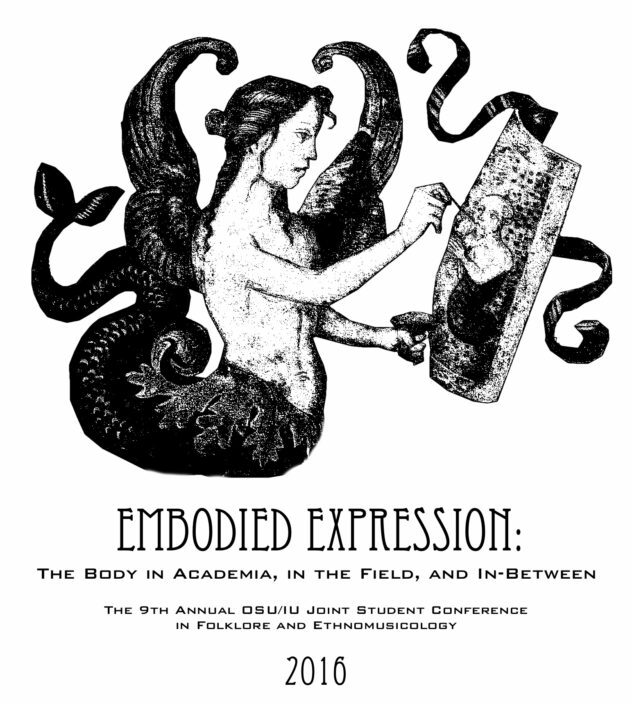 Our theme this year was “Embodied Expression: The Body in Academia, in the Field, and In-Between” and our keynote speaker was the always inspiring Jeana Jorgensen. She gave a wonderful talk on folklore and the body that was, as one professor said, one of the best discussions of the body he had ever heard and I 100% agree (you can check it out in six separate blog posts on Jeana’s blog at Patheos now – this is post one and you can follow the talk via links from there!) The presentations were wonderful (because it’s online and awesome, shout out to the presentation on ballads and “crankies” by Zoe van Buren and Anna Keneda of UNC: Chapel Hill, who made their own crankie of Donna Ray Norton singing the ballad “Young Emily”!) and everyone seemed to have a great time. Check out the mermaid logo I designed, which we had on t-shirts, tote bags, and stickers too! 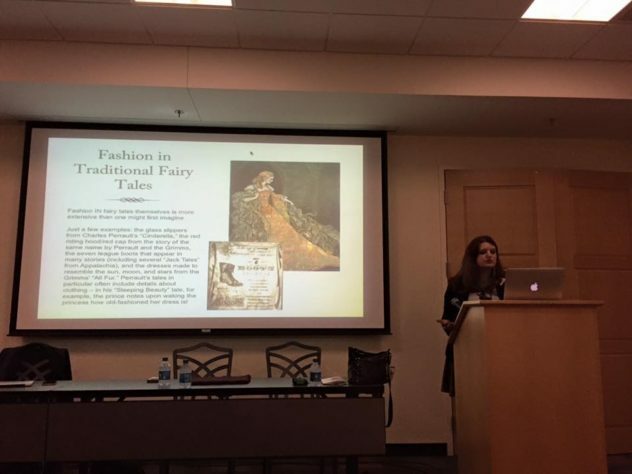 I presented as well, the same paper (edited a bit) that I presented at ICFA on fairy-tale fashion, embodied narrative, and gothic aesthetics. It seemed to go over really well, I got a lot of great feedback and I’m excited to develop the project further in the future. And yes, there was of course a bit in there about Daily Fae-shion :). * The encyclopedia Folktales and Fairy Tales: Traditions and Texts from around the World (the 2nd edition of the Greenwood Encyclopedia of Folk Tales and Fairy Tales), edited by Anne E. Duggan and Donald Haase with Helen J. Callow, was published in February and contains three entries written by me! 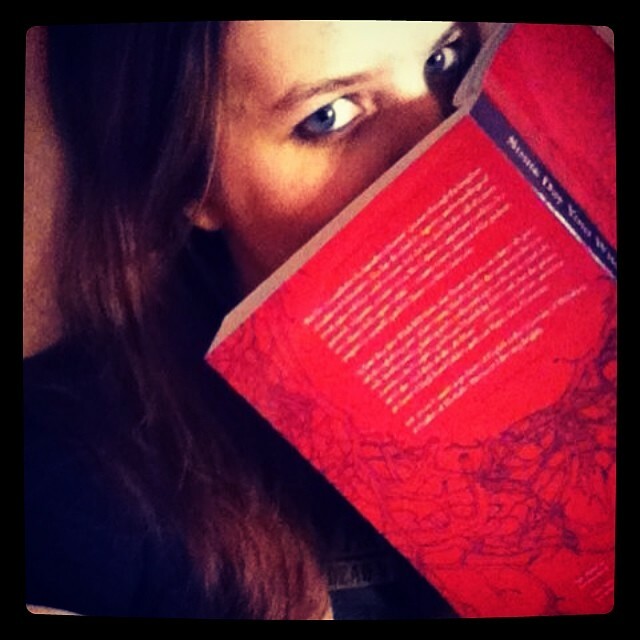 I contributed “Fashion,” “Gothic Tales,” and “Pre-Raphaelites,” all of which should surprise no one :). Such an honor to be asked to contribute to such a fantastic publication – check it out in a local library if you can, it’s truly one of the best resources for folktale and fairy-tale study I’ve ever come across. * My amazing friend Erin and I won the OSU English Department’s Digital Media Prize for Outstanding Graduate Student Work for our collaborative webtext Facets! 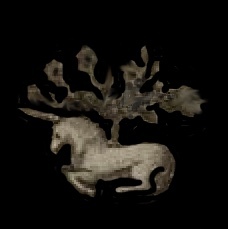 The project is a creative endeavor that critically looks at the ways in which digital media and multimodal digital composing might offer insight to traditional folk narratives, particularly fairy tales. We hope to expand it and get it online soon… I got a lot of prep work done for it when I attended OSU’s Digital Media and Composition Institute (DMAC) this summer and we’ll be presenting on the project at the AFS/ISFNR Annual Meeting later in October so *fingers crossed* it will see the light of day soon! * And lastly (for now), my article “I Am the Wolf: Queering ‘Little Red Riding Hood’ and ‘Snow White and Rose Red’ in the Television Show Once Upon a Time“ was just published in a special issue of the online journal Humanities on “Fairy Tale and Its Uses in Contemporary New Media and Popular Culture” edited by the wonderful Dr. Claudia Schwabe. It is available for anyone to access online for free, so please do check it out if you can. I first started working on this idea before the confirmation of Red’s bisexuality on the show, so I was of course psyched by the recent big reveal (if also a bit frustrated, something I talk about briefly at the end of the article.) See the full piece for more! So whew! You can see why I haven’t had much time to do much of anything else!! 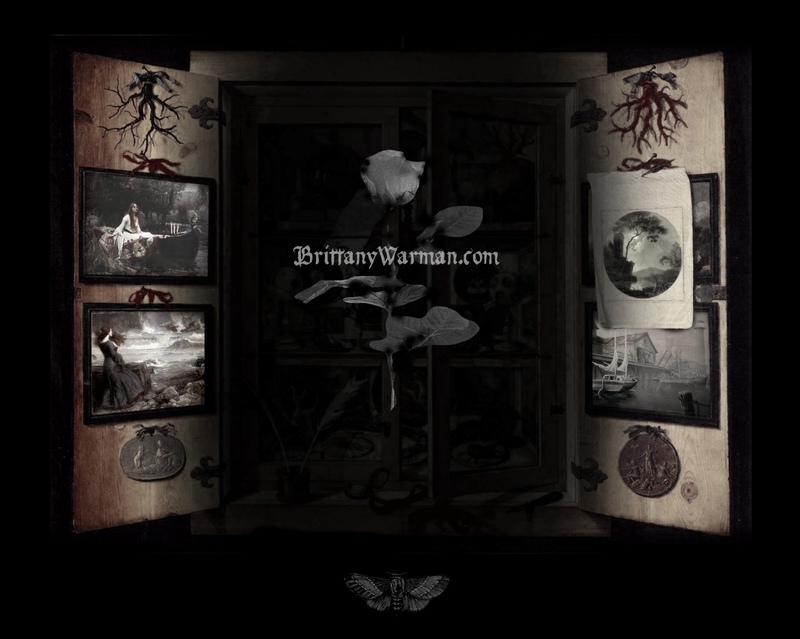 * I, with Sara and the ever inspiring Derek Newman-Stille, have launched a new online hub exclusively for the exploration of folk narrative, particularly adaptations that push boundaries and embrace diversity called Through the Twisted Woods. I’ve mostly been working behind the scenes on this project and sadly haven’t been able to post any articles myself yet, but I do have several things in the works that I can’t wait to put up there soon! I’m really excited about the potential of this space so please do check it out and consider contributing if you’re so inclined! * Speaking of projects, Sara and I have just launched something else as well! We are going to be hosting online classes devoted to folklore and the fantastic at our new website The Carterhaugh School of Folklore and the Fantastic! Sign ups are open right now for our special Halloween folklore pilot class at a special price – we’d love to have you if you feel as giddy about this kind of stuff as we do! Check out our gorgeous logo by the incredibly talented Rachel Oakes! * My poem, “Mother Doll,” was in issue #78 of Apex Magazine! So honored to be part of such an incredible place :). * My short story, “Documentation Related to Case #688,” has been released in the latest of Rhonda Parrish’s awesome alphabet anthologies C is for Chimera! * The new anthology Les Cabinets des Polythéistes: An Anthology of Pagan Fairy Tales, Folktales, and Nursery Rhymes edited by Rebecca Buchanan, was released! It contains Sara and I’s collaborative piece “Snow and Rose,” a pagan retelling of the fairy tale “Snow White and Rose Red” using moon and sun worship. I haven’t gotten a chance to read the rest of the pieces in this one yet but, knowing Rebecca, I’m sure they’re all incredible. * My poem “Wearing My Old Woman’s Skin” was chosen by Layla Al-Bedawi as one of the three poems for her issue of Volume 1 of Remixt Magazine! The whole project is the brainchild of the fantastic Julia Rios and features 6 different editors all choosing poems from the same pool of submissions. The idea is to demonstrate how subjective the editing process is, to look at patterns, and to examine what makes poems stand out. It’s a fascinating project and I’m delighted to have my work in it. * Sara and I have also published a co-written poem in issue #1 of recompose that’s about Alexander McQueen and “Beauty and the Beast” and pain and death and beauty. It’s very weird and experimental in some ways and I’m particularly proud of it :). We have another co-written piece coming out soon (and hopefully more on the way) so please do keep an eye on the creative writing page! * My dear friend, the magical Shveta Thakrar, was profiled on TOR.COM!! The article is beautiful and so very reflective of her incredible work. Check out the links to some of her stories and poetry at the bottom to see for yourself! * Super psyched about the new Sabat Magazine! I picked up a copy of the first issue from the awesome Treadwell’s when I was in London and it’s SO great. Hope to grab the new one soon! * This Washington Post article about a Princeton professor’s “CV of failures” is really interesting. When you’re feeling jealous of someone’s success, perhaps particularly in academia but really anywhere, remember that they too have failed numerous times, that they just *kept going* despite failure, and that that’s just part of how this crazy game works. There’s been a bit of criticism about this idea (most importantly the inherent privilege of being able to write a CV of failures in the first place) but I do still think it’s important to remember how much struggle goes into success. * Theodora Goss’ equally wonderful blog post on “Being a Changeling” that made me scream yes, yes, yes, YES! Her recent poems “The Sorceress in the Tower” and “The Witch’s Cat” have also been especially fantastic and resonant for me. I love her work so much, there is just such clear magic in it. * And, lastly, two things my boyfriend found to make you smile – Patsy Gibbons and his rescued foxes and the four music-loving kittens who came to listen to a street performer :). Whew, okay, I think that’s all for now! As I said in the last post, please do continue to check out the new site design and let me know if anything is amiss. Some people have expressed some doubt over the way you have to scroll down to get to content if you don’t have your monitor set to an enormous resolution but I actually don’t think I mind it? Please weigh in if you have thoughts though! :). This entry was posted in Academia, Fashion, Inspiration, News, Publications. Bookmark the permalink.